Product Model #: 96732. Product Model # 96732. Product Model: 96732. Manufacturer Part Number: 96732. Certified and supported by the industry high speed Double Layer writers, Verbatim discs are approved for high speed burning up to 6x speeds. Product Model #: 43754. Product Model # 43754. Product Model: 43754. Manufacturer Part Number: 43754. Maximum Write Speed: 8x. 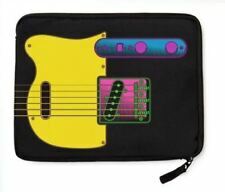 Tighter specifications ensure better compatibility with writers and recorders. The diskette to clean the head of the floppy drive. It corresponds to a word processor. / The set includes: - cleaning diskette cleaning liquid / image is a product used image. diskette to clean the floppy drive of the head. Product Model #: 94935. Product Model # 94935. Product Model: 94935. Manufacturer Part Number: 94935. Maximum Write Speed: 52x. Storage Capacity: 700 MB. Technical Information. Universal CD VCD Optical Lens Pick UP KSS-213B KSS213B, also suitable for KSS-213C, for Sony CD VCD. 1 x KSS-213B Optical Pick UP Lens. We are professional industrial&electronic Categorie manufacturers in China. 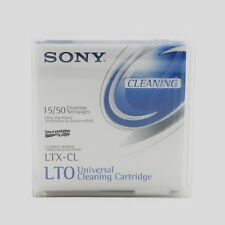 NEW SEALED Sony SDX1-CL AIT Cleaning Cartridge. Condition is New. Shipped with USPS Priority Mail. Cleaning ?. auto reverse corresponding / ?. Specifications in about 20 seconds ?. Moki Lens Cleaner should be the first choice for problematic players that constantly skip, stutter or stop. Dust, dirt and fingerprints on discs will transfer to your players lens reader which can dramatically affect image and sound quality while also reducing the life span of the player. Very good condition, item has seen light use. Maxell DVD-LC DVD Lens Cleaner DVD-LC For XBOX PlayStation. Condition is Used. Manufacturer Part Number 53382. 100 disc spindle, 16x maximum write speed, 4.7 GB, white hub-printable surface. Don't take chances with your valuable photos, graphics files, video content or other irreplaceable data. 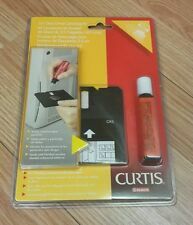 Noru HL-30 Floppy Disk Cleaning Kit floppys vintage diskettes clean new! NORU HL-303 DISK DRIVE HEAD CLEANER - New! Cleaning liquid is included - Made in Japan. THIS HEAD CLEANING CASSETT WILL WORKS WITH ALL 8MM FORMATS (STANDARD 8MM, VIDEO8, HI8, D8, DIGITAL8, DATA8, AIT) . FOR 8MM: VCR, CAMCORDER, COMPUTER 8MM DATA BACK-UP DRIVE. SUCH AS: SONY, SAMSUNG, RCA, PIONEER, SANYO, HP, COMPAQ, DELL, SEAGATE.ETC. .
1 x Cleaning fluid. Designed to efficiently clean the laser of your valuable VCD/DVD/Computer/ Laptop/CD-Rom/DVD-Rom. Cleaning disc fits for: PC CD-ROM drive, car DVD players, DVD players, etc. Safely clean and remove dirt and dust from your players. Product Model #: 98319. Product Model # 98319. Manufacturer Part Number: 98319. 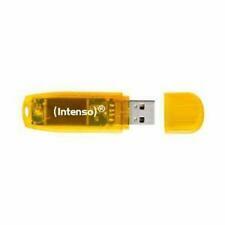 Burn 8.5GB of data or video in 12 to 15 minutes and customize the disc label with high-resolution, full-color images. The white inkjet, hub-printable surface is ideal for full-surface, edge-to-edge printing. Product Model #: 53382. Product Model # 53382. 100 disc spindle, 16x maximum write speed, 4.7 GB, white hub-printable surface. Don't take chances with your valuable photos, graphics files, video content or other irreplaceable data. THIS HEAD CLEANING CASSETT WILL WORKS WITH ALL 8MM FORMATS (STANDARD 8MM, VIDEO8, HI8, D8, DIGITAL8, DATA8) . FOR 8MM: VCR, CAMCORDER, COMPUTER 8MM DATA BACK-UP DRIVE. 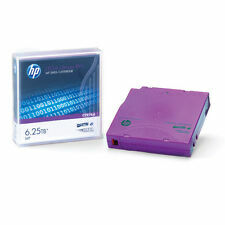 SUCH AS: SONY, SAMSUNG, RCA, PIONEER, SANYO, HP, COMPAQ, DELL, SEAGATE.ETC. .
Part #: 309258. 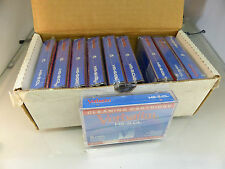 Other Info: Manufacturer Sealed, lot of 9. (Unless otherwise noted). Product Model #: 97334. Product Model # 97334. Product Model: 97334. Manufacturer Part Number: 97334. BD-R discs are ideal for recording HDTV programs or backing up your music collection. Maximum Write Speed: 6x. Product Model #: 94917. Product Model # 94917. Product Model: 94917. Manufacturer Part Number: 94917. Maximum Write Speed: 16x. Compatible for full-surface, edge-to-edge printing. Superior ink absorption on high-resolution printer. Product Model #: 95455. Product Model # 95455. Product Model: 95455. Manufacturer Part Number: 95455. Maximum Write Speed: 16x. Storage Capacity: 4.70 GB. Technical Information. Product Model #: 96159. Product Model # 96159. Product Model: 96159. Manufacturer Part Number: 96159. Maximum Write Speed: 52x. The highly reflective silver layer allows the UltraLife CD-R disc to look like a standard silver disc to CD burners. Product Model #: 98485. Product Model # 98485. Manufacturer Part Number: 98485. Maximum Write Speed: 6x. Form Factor: 120mm. Physical Characteristics. Storage Capacity: 25 GB. Technical Information. Product Model #: 98909. Product Model # 98909. Manufacturer Part Number: 98909. Maximum Write Speed: 4x. Storage Capacity: 25 GB. Limited Warranty: 10 Year. Country of Origin: Taiwan. Weight (Approximate): 0.58 oz. Box Condition: See Pictures. Alabama, Oklahoma, Pannsylvania July 1 2019. Product Model #: 98908. Product Model # 98908. Manufacturer Part Number: 98908. Maximum Write Speed: 4x. Storage Capacity: 4.70 GB. Limited Warranty: 10 Year. Form Factor: 120mm. Physical Characteristics. Product Model #: 97284. Product Model # 97284. Product Model: 97284. Manufacturer Part Number: 97284. Create high quality, customized labels for your Double Layer BD-R discs with Verbatim White Thermal Printable BD-R DL discs. This will work in both DDS computer tape drives and DAT audio tape recorders. Product Model #: 97338. Product Model # 97338. Product Model: 97338. Manufacturer Part Number: 97338. Maximum Write Speed: 6x. Form Factor: 120mm. Physical Characteristics. Storage Capacity: 25 GB. Product Model #: 95355. Product Model # 95355. Product Model: 95355. Each disc is manufactured using proprietary unique dual reflective layers to maximize both compatibility and longevity. Hard coating protects recording surface against scratches and rough handling. Product Model #: 98356. Product Model # 98356. Manufacturer Part Number: 98356. 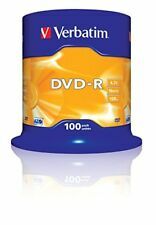 Verbatim BD-R Double layer discs provide up to 50 GB of data, audio or video storage - twice that of single layer BD-R discs. Kompatibel mit allen Digital Data Storage ( DDS) Laufwerken. Fuji DDS Cleaning. Type Cleaning Kit. VITE DANS LE MONDE ENTIER EXPÉDITION & SUIVI ! 20 baguettes de nettoyage Imation (10 demandes de nettoyage). Commandes internationales-. Any item that is not photographed will not be included. Professional Audio / Visual. Storage Location Credit or Debit card over the phone. Video Presentation Units. Printers & Consumables. Printer Spares. AF Driveclene per drive da 4mm. DCL4MM pid 365/697658. Vendo cassetta pulisci testine. Nastro di pulizia di tipo IBM 4mm, compatibile DDS, DDS2, DDS3 e DDS4. Fabricant: Maxell. Marke maxell. Vendeur profil. Nous expédions par (À l'avance). une facture avec TVA expulsé. Pas de coûts cachés. le service rapide et compétent. Condition: New Sealed but tatty box. New Sealed but tatty box. We hope you will be very happy with your item. If there is an issue with your item and you believe it to be faulty we will help you as quickly as possible. Nastro di pulizia di tipo hs-4/cl, compatibile DDS, DDS2, DDS3 e DDS4. Cash on collection. Credit or Debit card over the phone. TFT Monitors. Tablet PC's. Servers & Components. Professional Audio / Visual. Printers & Consumables. Printer Spares. Die auf den Batterien abgebildeten Symbole haben folgende Bedeutung Sie sind zur Rückgabe gebrauchter Batterien als Endnutzer gesetzlich verpflichtet. Das Symbol der durchgekreuzten Mülltonne bedeutet, dass die Batterie nicht in den Hausmüll gegeben werden darf.